The literary world was shocked when in 1889, at the height of his career, Robert Louis Stevenson announced his intention to settle permanently on the Pacific island of Samoa. His readers were equally shocked when he began to use the subject material offered by his new environment, not to promote a romance of empire, but to produce some of the most ironic and critical treatments of imperialism in nineteenth-century fiction. In these stories, as in his work generally, Stevenson shows himself to be a virtuoso of narrative styles: his Pacific fiction includes the domestic realism of 'The Beach at Falese, the folktale plots of 'The Bottle Imp' and 'The Isle of Voices', and the modernist blending of naturalism and symbolism in The Ebb-Tide. But beyond their generic diversity the stories are linked by their concern with representing the multiracial society of which their author had become a member. 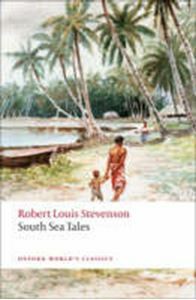 In this collection - the first to bring together all his shorter Pacific fiction in one volume - Stevenson emerges as a witness both to the cross- cultural encounters of nineteenth-century imperialism and to the creation of the global culture which characterizes the post-colonial world.